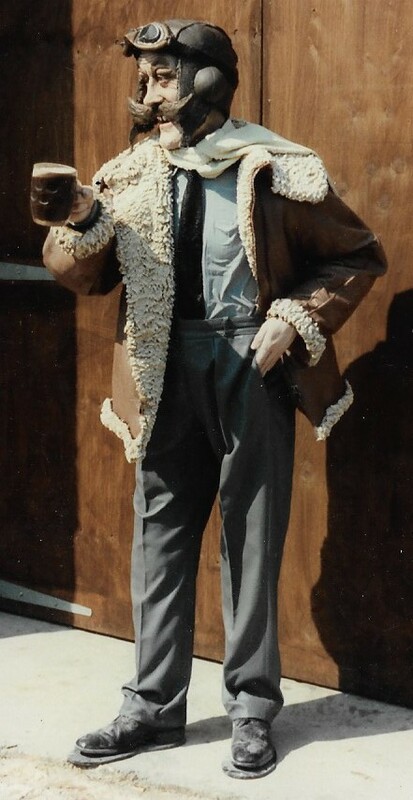 Fibreglass Mannequin – Biggles – Ye Olde Aviator. Client – Scottish and Newcastle Breweries. 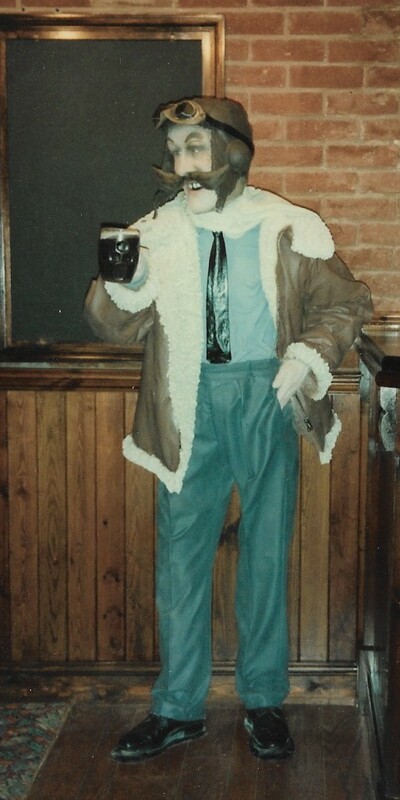 This mannequin was one of a set of three pieces that were commissioned for Scottish and Newcastle Ye Olde Aviator public house. 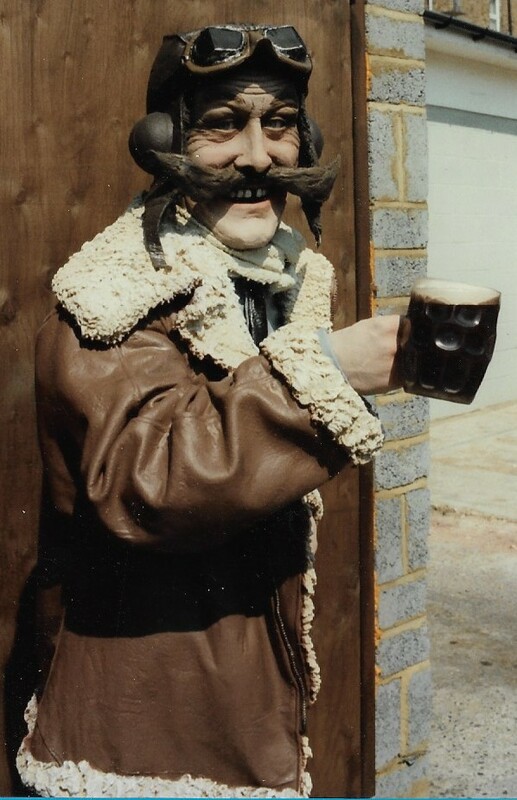 The other two were Amy Johnson and a victorian aviator in a flying contraption. They were all fabricated from GRP and polyester resin.